Monopoly Millionaires’ Club has gone bankrupt. According to Broadcasting & Cable, the syndicated game show will not be renewed for a third season and has been effectively cancelled. The last episode will air during the weekend of April 30th. Hosted by Billy Gardelll, the lottery game show features contestants playing a series of games based on the popular Hasbro board game Monopoly. The series debuted in March 2015, with an hour-long program that was later cut down to a half hour in the second season. A few weeks ago, Buzzer Blog reported that the syndicated series could be moving to a daily format. However, Scientific Games (who produce the show) has decided not to renew it. It seems the show’s demise is linked to the popularity and bigger gains from other lotteries like Powerball and Mega Millions. What do you think? Do you watch Monopoly Millionaires’ Club? Would you have watched a third season? 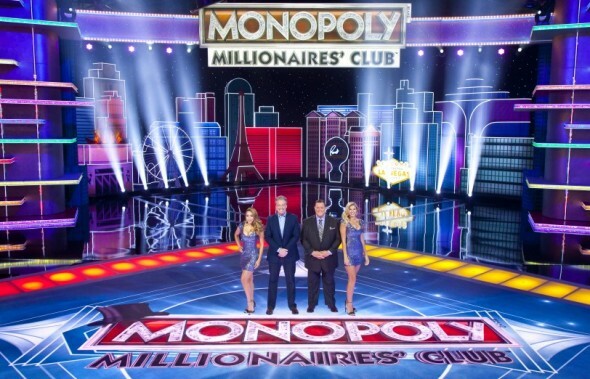 More about: Monopoly Millionaires' Club, Monopoly Millionaires' Club: canceled or renewed? Yes I do miss Monopoly Show. Billy did a good job of hosting it. I’m sorry it was taken off the air. Yes. I definitely would watch another season. I really liked that show! I really liked watching that show! I liked the show & I enjoyed watching it!